Van Morrison’s ever-popular Brown Eyed Girl. A wedding favourite, and ranked 110 in Billboard’s 500 greatest songs. Arranged by professional arranger and cellist Dury Loveridge. The 1986 smash hit and worldwide Number 1, ‘The Final Countdown’ by Sweden’s Europe. 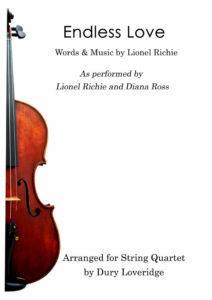 This arrangement for cello quartet (with optional double bass) is perfect for school groups and professional ensembles. 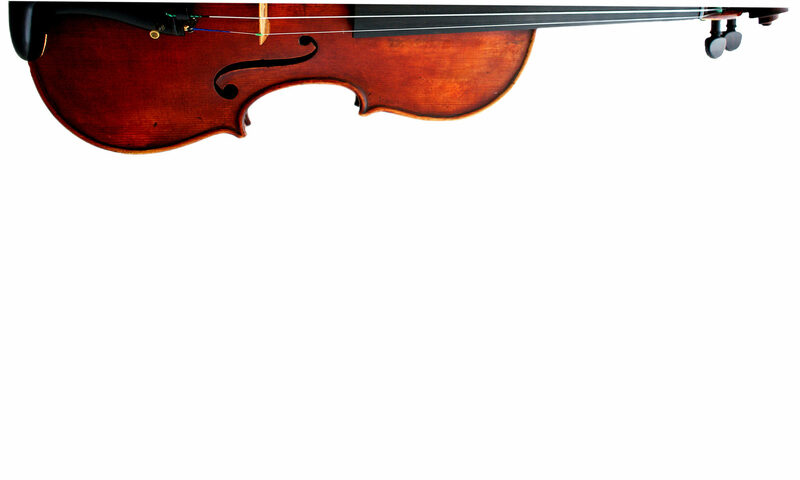 The Cello 1 part has tenor clef (approx Grade 6 standard), but has an ossia part underneath an octave lower in bass clef making the whole ensemble playable by grade 5 and under. There are challenges in most parts, and the double bass part sounds great played on electric bass (just ask a drummer to join you for a full rock band effect). Arranged by professional cellist, arranger and teacher Dury Loveridge, this is a tried and tested arrangement. Leonard Cohen’s beautiful ‘Hallelujah’ carefully transcribed for cello or lower string ensemble. This arrangement is written for four cellos with an optional double bass part, but you could also omit cello 2 to form a cello trio. The cello 1 part has tenor clef in it (approx. Grade 6 standard), but there is an ossia for the highest section written an octave lower. The arrangement has a gentle sound, but the arpeggio cello 3 part is reminiscent of the Jeff Buckley version. This is a tried and tested arrangement perfect for schools, arranged by professional cellist, arranger and teacher Dury Loveridge. Covered at least 125 times, this massive hit is perhaps most famous in its versions by Josh Groban or Westlife. A hugely popular choice for weddings, this arrangement is faithful to the original, with second violin supporting the melody, and of course that key change in the middle. Arranged by professional cellist and arranger Dury Loveridge. The massive 2009 hit by Owl City, ‘Fireflies’. This is faithful to the original, including the repeated synth hook which is shared between the first and second violins. There are interesting rhythms, and position work for the viola too. Great to a concert, wedding or other event. Arranged by professional arranger and composer Dury Loveridge. Arranged for Violin, Viola & Cello, but includes a Violin 2 version of the viola part, so can be Vln 1 & 2 + Cello. Cohen’s timeless classic, made famous in part by some of it’s many cover versions including John Cale and Jeff Buckley (to which this arrangement gives a nod in the form of its undulating viola/Violin 2part), and brought to a new generation in the film ‘Shrek’. This is a faithful arrangement to the original, featuring all three verses. Whilst the middle part may look tricky, it’s easy under the fingers (and how rare for a violist to be featured so prominently throughout!). Arranged by professional cellist and arranger Dury Loveridge, this is great for school groups and for wedding and function string trios. A timeless song in which two voices declare unending love for each other, this was Lionel Richie’s highest charting single, and the highest selling single of Diana Ross’ career. Originally written for the film of the same name, it has had lots of cover versions over the years, including Mariah Carey, Kenny Rogers and Shania Twain. 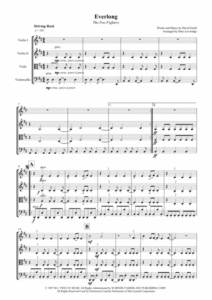 This arrangement is true to the original, with the violins taking the vocal lines, whilst the viola and cello share arpeggio patterns filling out the piano harmonies of the song in its careful harmonisation. 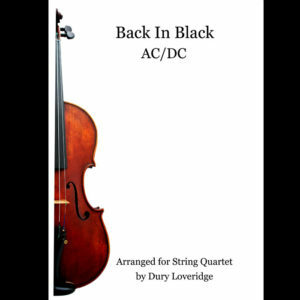 This arrangement, by professional arranger and cellist Dury Loveridge, has something for everyone in a rich-sounding adaptation sure to be a favourite at any wedding or special occasion. . The massive 1997 hit by The Foo Fighters, ‘Everlong’, faithfully arranged for string quartet. Dave Grohl wrote this song as a love song, saying “That song’s about a girl that I’d fallen in love with and it was basically about being connected to someone so much, that not only do you love them physically and spiritually, but when you sing along with them you harmonize perfectly.” It’s been featured numerous times in films and tv, and is a firm favourite at weddings thanks to its appearance in episode of ‘Friends’ where Monica and Chandler marry. This version keeps all of the rhythmic drive of the drum beat with octave snaps in the cello, with some great rhythms for the inner parts too. The Bacharach and David hit, originally recorded by Dionne Warwick in 1966. A timeless classic, featured in many movies, and a perfect song for weddings, parties and events. Faithfully arranged, this version has the gently rhythmic drive of the original, with a nice building of harmonies into the chorus. Arranged by professional cellist and arranger Dury Loveridge.